If you’re a software developer—or if you follow the work of software developers—you’ve probably heard of TouchDevelop, a Microsoft Research app that enables you to write code for your phone using scripts on your phone. Its ability to bring the excitement of programming to Windows Phone 7 has reaped lots of enthusiasm from the development community over the past year or so. Now, the team behind TouchDevelop has taken things a step further, with a web app that can work on any Windows 8 device with a touchscreen. You can write Windows Store apps simply by tapping on the screen of your device. The web app also works with a keyboard and mouse, but the touchscreen capability means that the keyboard is not required. To learn more, watch this video. This reimplementation of TouchDevelop went live just in time for Build, Microsoft’s annual conference that helps developers learn how to take advantage of Windows 8. The conference is being held Oct. 30-Nov. 2 in Redmond, Wash. The TouchDevelop web app, which requires Internet Explorer 10, enables developers to publish their scripts so they can be shared with others using TouchDevelop. As with the Windows Phone version, a touchdevelop.com cloud service enables scripts to be published and queried, and when you log in with the same credentials, all of your scripts are synchronized between all your platforms and devices. While in the TouchDevelop web app, users can navigate to the properties of an installed script already created. Videos describing editor operation of the TouchDevelop web app are available on the project’s webpage. 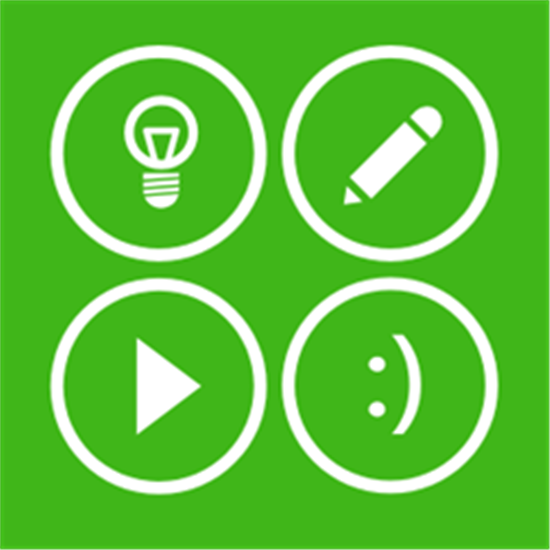 TouchDevelop shipped as a Windows Phone app about a year and a half ago and has seen strong downloads and reviews in the Windows Phone Store. Since the app became available, Tillmann and his RiSE colleagues have been astounded by the creativity the user base has demonstrated. Further Windows 8 developer excitement will be on display during Build, which is being streamed to audiences worldwide. 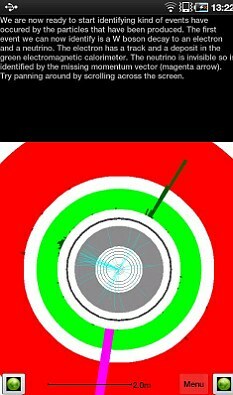 The new LHSEE app, free on Google Android phones and tablets, lets users see events unfolding live inside the particle accelerator in a 3D view. You can even see individual protons colliding. The app has already been downloaded more than 10,000 times. It was created by scientists at Oxford University, and has the full approval of CERN. Naturally, it can't capture everything - the LHC produces gigabytes of data every second - but the view offers an exhilarating insight into 'Big Science'. 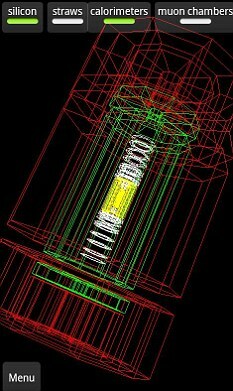 Tutorial videos about the ATLAS detector provide a relatively easy 'way in', and the 3D views allow you to view a stripped down version, then add layers of detectors. It gives a very immediate, physical sense of the reactions going on inside - you can rotate the 3D model to view reactions from any angle. It is pitched, according to Android market, at 'experts and non-experts alike', and offers the chance to explore different parts of the detector and learn about the reactions it's looking for. Be warned, though - despite a game entitled 'Hunt the Higgs', it isn't exactly Angry Birds. You have to comb slides of reactions, guessing which subatomic particles are involved. The app was built a team headed by Oxford University physicist Dr Alan Barr. 'For ages I’d been thinking that with the amazing capabilities on modern smartphones we really ought to be able to make a really great app - something that would allow everybody to access the LHC data,' said Barr on the official Oxford science blog. 'Then, a few months later, I had one of those eureka moments that make Oxford so wonderful. By leading users through the coloured slides produced by the LHC, the app 'reverse engineers' the imagery so home users can understand the reactions - eventually. With the LHC predicted to either find the Higgs Boson or prove its non-existence next year, the capacity to watch events 'live' should also prove popular. 'With the app you can understand what these strange shapes and lines actually mean - in terms of the individual particles detected. Our hope is that people can now appreciate the pictures and the science all the more - and perhaps even be a little inspired,' said Barr. As yet, the team has announced no plans for an iPhone version.